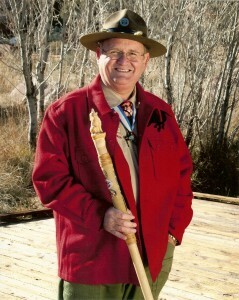 Home / Boy Scouts / Mac’s Message #60: Why Do You Serve As an Aaronic Priesthood or Scouting Leader? Some leaders serve out of obedience. Having been taught never to turn down a calling, they accept a position in the Young Men or Scouting programs because they have been taught to do so. They do what they have to do because they know they must do it. They may not want to serve in a Young Men calling, but they do because they have been called by a priesthood leader. Because obedience is a significant element of the gospel, this is a good first step. Throughout the scriptures those who are obedient are praised for their faithfulness. But, if acceptance of a calling is made from mere obeisance, our service may be limited by our view of how far we must go to comply with the commandment. An obedient adult leader may have to decide each time whether he will be obedient when he’s asked to give more and more to his Young Men or Scouting calling. A second reason for serving is a willingness to do one’s duty. As a “faithful” member of the Church one fulfills his obligations because he feels duty-bound to do so. Membership requires certain responsibilities and, as a responsible member, he does what is required. He fulfills his part in the kingdom of God by dutifully serving in that portion of the kingdom to which he has been assigned. “On my honor, I will do my best to do my duty” is a noble declaration. It means one will step up and do what one is required to do in order to faithfully carry out his obligations and responsibilities. 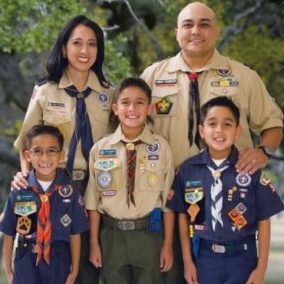 A duty-bound Aaronic Priesthood or Scouting leader will get trained properly and do everything he can to faithfully fulfill his leadership responsibilities to the utmost of his abilities. Some adult Young Men leaders serve faithfully because they know when they do so they will receive the blessingsassociated with the service they give. The knowledge that there is a promised reward, either intrinsically or extrinsically attained, guarantees their dedicated service. There are great blessings associated with serving young men. These blessings come not only to oneself, but also include blessings for the young men, their families, the Church, and society. A fourth group of leaders serve at a much higher motivational level. These are they who are truly converted to the cause. They serve because they love to serve, they love the young men, they love being around boys, they love Scouting, and they love God. They don’t serve in their calling for blessings, out of duty, or for fear of disobedience. They serve because it is the right thing to do. They do it because the love in their heart for their calling drives them to do all they can—because the very thought of not doing their best would tear at their heart. The Lord wants you to serve faithfully in your Young Men calling regardless of your motivation. He just wants you to be motivated to do so. And, hopefully, as you serve and as you grow from your service, your motivation will turn to one ofloving to serve the young men you lead. Do you love your calling? Do you love the young men? Do you love Scouting? Do you love the Lord?